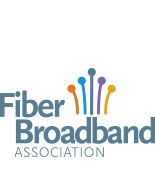 The FTTH Council has always believed that communities need to be active participants in bringing fiber to the home to their residents. Only investment in this future proof technology will ensure that communities remain part of the global economy and that its citizens will have access to the best resources available in education, medicine and engagement. We applaud the Chairman’s decision to provide communities and private companies with additional mechanisms for speeding the deployment of this essential infrastructure.